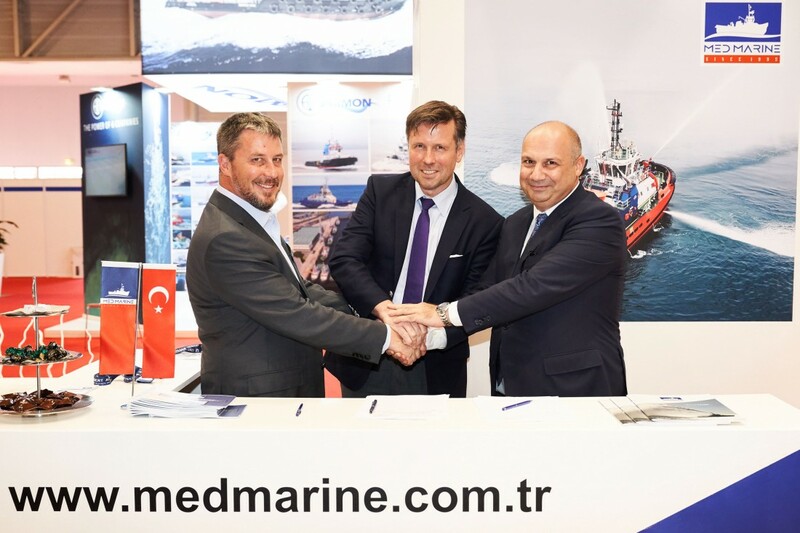 Med Marine has signed a 32m ASD tug contract with J.Johannsen & Sohn at ITS 2018 Marseille. The vessel (project name EREGLI 53) is RAmparts 3200 series model designed by Robert Allan Ltd. It is being built in Ereğli Shipyard, a group company of Med Marine. bhp) with a free sailing speed of 12.0 knots and bollard pull of 74 tons. 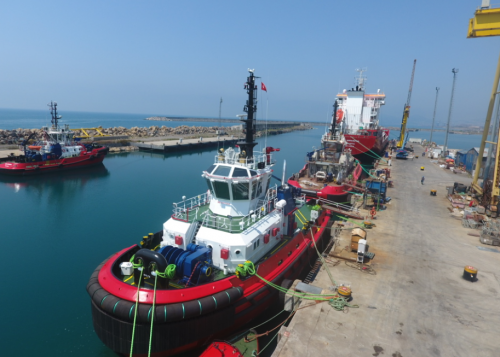 for vessel services, including the deck machinery. mm U2 with one chain and electric frequency controlled aft towing winch with one towing drum. and includes a captain’s cabin, an officer cabin and three double crew cabins.